Even though hyperbole is wired into our journalism genes, I think we can all agree: 2015 feels big for comics in a very tangible way. It’s not so much that we’re seeing new ideas and strategies emerge, it’s that those ideas are being put into play in huge ways. Marvel’s embracing diversity on a new scale by bringing characters like Miles Morales and Ms. Marvel (Kamala Khan), while ascending publishers are striking out in new genres, broadening the collective landscape. To quote a very popular t-shirt, comics are for everyone, and the medium is finally starting to reflect that very basic, invaluable premise. The Paste Comics Crew took a look at some of the big announcements and trends that are sculpting these 365 days into something truly special. If Image’s emergent success a few years ago was marked by comparisons to Vertigo in its prime, then BOOM! Studios’ aggressive expansion into fresh, often creator-owned territory should continue to earn it the label of the next Image. While BOOM! has been publishing great original and licensed content for years now, the company is celebrating its 10th anniversary in 2015 with the #ComicsForward initiative to increase diversity, both in the pages of its books and behind the scenes. We’ve seen and will be seeing the debut of series like cartoonist Madeleine Flores’ spunky Help Us! 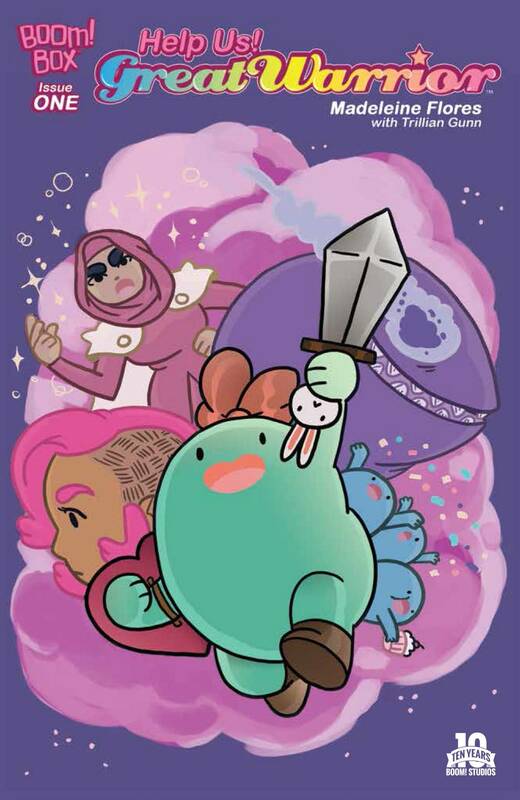 Great Warrior, GLAAD Media Award nominee James Tynion IV’s Ufology with cowriter Noah J. Yuenkel and artist Matt Fox, and Ryan Ferrier and Devaki Neogi’s punk rock girl gang riot, Curb Stomp. BOOM! is hardly the only publisher broadening its horizons and offering alternatives to the Big Two’s capes-and-tights blitz, though. Oni Press, once mostly known as the publisher of Scott Pilgrim, has been pushing more and more into monthly comics, led by corporate superhero alums like Cullen Bunn, Josh Fialkov and Charles Soule. 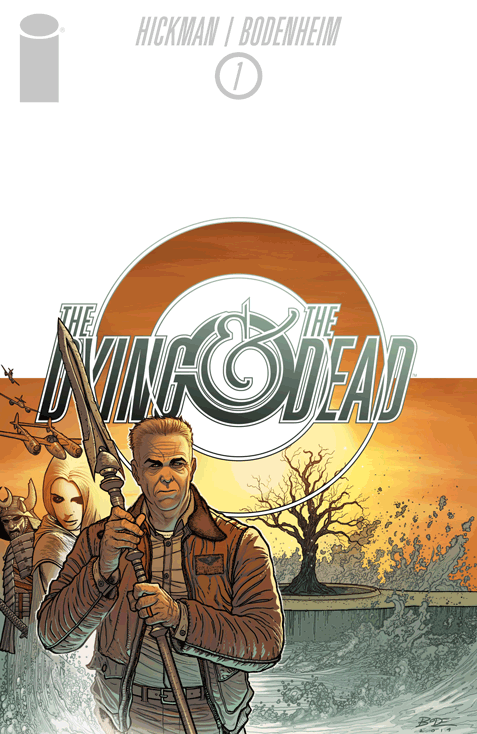 IDW, which became a household name thanks to 30 Days of Night before mastering licensed publishing, has partnered with Comics Experience to publish creator-owned books from new talent. Even Dark Horse, bolstered for years by the Star Wars license and the Mignola-verse, has acquired a killer list of creator-owned work from big talent like Rafael Albuquerque and Joelle Jones. And, of course, Image shows no signs of slowing down. When it began in 2000, Marvel’s Ultimate imprint nailed its goal of updating classic characters for a modern audience and ditching decades of confusing continuity. Fifteen years later, the Ultimate universe has tried to reinvent itself so many times that it might just be more perplexing than the 616 proper. To a large extent, this was inevitable: 15 years of monthly stories add up. In the eyes of many, the line never fully bounced back from Jeph Loeb and David Finch’s murder-and-mayhem-filled Ultimatum mini-series, which saw most of the universe’s cast killed off and rendered the “fresh and accessible” premise unrecognizable. 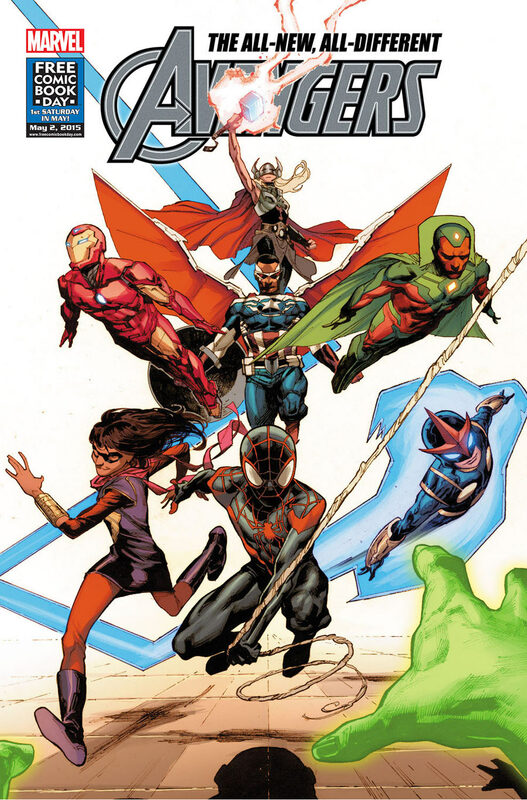 While the line has continued to provide readers with gems—Jonathan Hickman cut his teeth on Ultimates before taking over Avengers and New Avengers and Brian Michael Bendis used the publishing line to debut Miles Morales, one of the best new additions to Marvel lore in years—the Ultimate imprint as a whole has been limping out to pasture for a while now. Following a few fake-out endings, Marvel has confirmed that the Ultimate universe will finally shutter during this summer’s massive Secret Wars crossover, a continuity-bending event tailor-made for picking and choosing alternate universe elements to incorporate permanently into the Marvel U. As long as comics are being printed, we’ll never see a shelf free of Batmen, Supermen, Spider-Men or other various men coupled with grandiose animal adjectives. 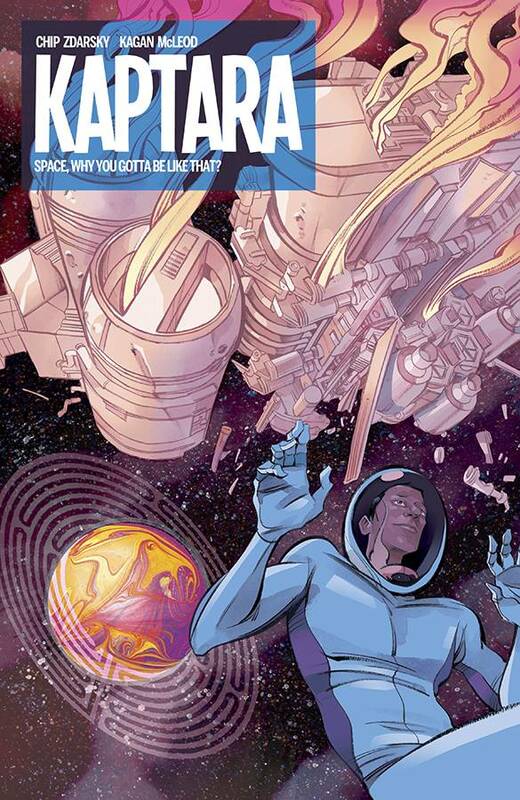 But as creators Matt Fraction and Jonathan Hickman have shown us over the past years, truth lies in liberation, and super-smart independent titles can share some of the big-money pie of monthly comics revenue. Fraction is set to end his beloved run of Marvel’s Hawkeye...any…time…now, and Hickman will also step away from the company after finishing his Avengers titles and eight issues of Secret Wars. Which is good, because if the past three years have proved anything, it’s that creator-owned titles won’t only gather steam in 2015, they’ll slay. Mainstream comedy books (not comic strips—that’s an entirely different ballpark, if not sport) have become a baffling rarity. Didn’t we used to call stapled pages of sequential art “funny books” at some ambiguous point in time? Leaving aside novelties like Marvel’s Not Brand Echh, didn’t DC used to publish comics for past comedy luminaries like Bob Hope, Dean Martin and Jerry Lewis as recently as the ‘70s? So why, today, do the major publishers avoid this once-thriving genre vein? Poor sales could be one explanation, or maybe our favorite humorists (Jeffrey Brown, James Kochalka, Kate Beaton, Lisa Hanawalt) have found a warmer reception with the indie imprints. Fortunately, 2015 has charted more than a few laugh riots into its editorial calendar. Deadpool has always incorporated a slice of Tex Avery-inspired zaniness into his excessive ninja assassin exploits, but Scottie Young’s Rocket Raccoon took sci-fi super violence to new inane levels and surging sales. Now, Jimmy Kimmel Live writer Jeff Loveness and artist Brian Kesinger will keep the Guardians of the Galaxy laughs coming with a new Groot ongoing later this year. Meanwhile, Young has also hopped over to the creator-owned playground of Image for I Hate Fairyland, the story of a woman who hacks out of a fantasy haven with the help of a very large axe. If you’ve ever wanted to know if Teddy Bears bleed, this inverted take on Little Nemo should quell your black, black heart. Meanwhile, Kieron Gillen, Jim Rossignol and David Lafuente are looking to dive deep into Monty Python-depths of ridiculousness for The Ludocrats, a comic about eccentric steampunk royalty and its unending mission to preserve wonder. 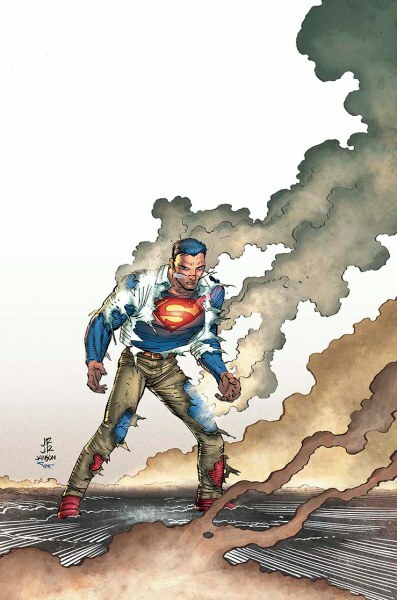 Superman #41 Cover by John Romita Jr.
As part of its new line-wide revamp this June, Gene Luen Yang will join John Romita Jr. on Superman starting with issue #41, and there’s only one way to describe this union: inspired. Here’s why. Original Superman creators Jerry Siegel and Joe Shuster didn’t just channel the pulpy sci-fi adventures of a man in a wrestling outfit fighting robbers, they reframed the American immigrant experience through bold colors and metaphors. (Siegel was the son of Lithuanian immigrants while Shuster was born in Toronto to a Dutch Father and Ukranian Mother). As first generation Americans in Cleveland, Ohio, both Shuster and Siegel explored what it meant to be alien on more than one level. In 2005, Renee Mauborgne and W. Chan Kim released a business book called Blue Ocean Strategy; its central premise encouraged companies to avoid battling other companies in competitive fields, and instead flourish in new or underserved markets. In other words, flee the “red oceans” bloodied by intense intracompany warfare for the unsullied “blue oceans.” It’s an apt analogy for the current comics landscape, as publishers pursue new female-friendly comics and audiences that transcend white straight dudes (see Steve’s #ComicsForward blurb for more). Then again, there is one company that’s staunchly marched into the spandex carnage of oversaturated superhero comics and you know what? It’s done pretty damn great. After hibernating for eight years, Valiant Comics slipped back onto stands in 2012, buoyed by an integrity and commitment oft used to describe all-terrain vehicles and camping gear. Robert Venditti and Cary Nord’s tranformed X-O Manowar a sci-fi tech concept into a romantic epic that spanned time time and space, while titles like Quantum and Woody retained their subversive humor and rare playfulness. Fortunately, this creative momentum shows absolutely no sign of languishing. 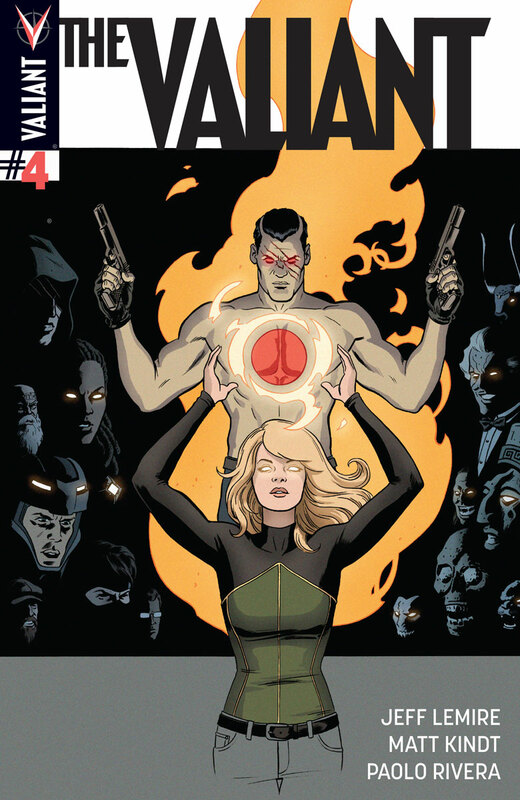 Matt Kindt, Jeff Lemire and Paolo Rivera just wrapped their 4-chapter “event” comic The Valiant, showcasing the heart and diversity of an entire publishing line in a space that most blockbuster miniseries would solely use for the first act. Star Wars fans didn’t go too long without published comics—Dark Horse’s last release was in November 2014 and Marvel kicked off 2015 with a shiny Star Wars #1—but the symbolic gap couldn’t have been wider. For over two decades, Dark Horse played a huge role in defining a galaxy far, far away, pushing the expanded universe thousands of years into the past (Knights of the Old Republic), decades into a dark possible future (Star Wars: Legacy) and to destinations strange and unknown (an adaptation of George Lucas’ previously unpublished first draft of what would become A New Hope). In the eyes of many readers, Disney reclaiming the Star Wars license for Marvel (and officially cutting most of the EU from continuity) felt less like a homecoming and more like a potentially disastrous corporate synergy getting in the way of what worked. While the license shift is undoubtedly a bummer for Dark Horse, 2015 has already given us plenty of reason to believe it’s a great thing for readers. 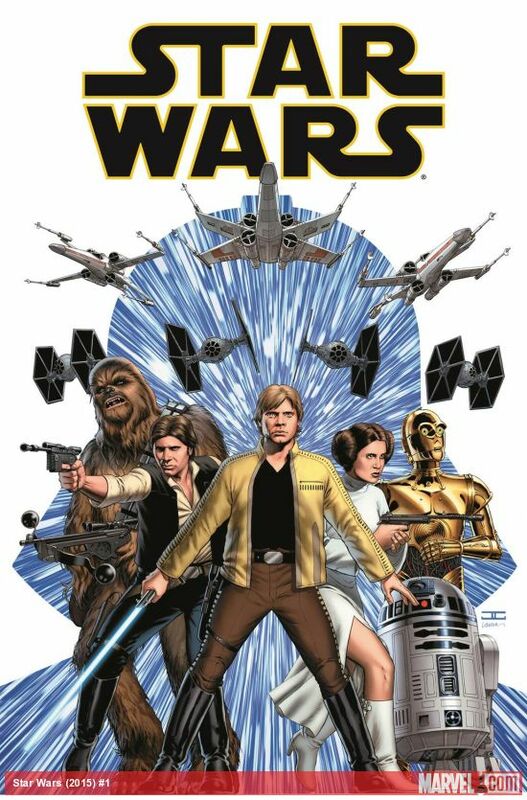 Jason Aaron, John Cassaday and Laura Martin’s first three issues of Star Wars blew away fans and critics alike, ably capturing the spirit of the original trilogy in a gap era between movies notoriously difficult to get right. Thanks partially to a Loot Crate partnership and a clone army-sized fleet of variant covers, the first issue also walloped sales records. With Darth Vader, a Princess Leia mini-series, a Star Wars: Rebels tie-in and omnibus reprints of Dark Horse material well into their initial story-arcs or on the cusp of launching, the months leading up to The Force Awakens look to be more than bearable for Star Wars nuts. 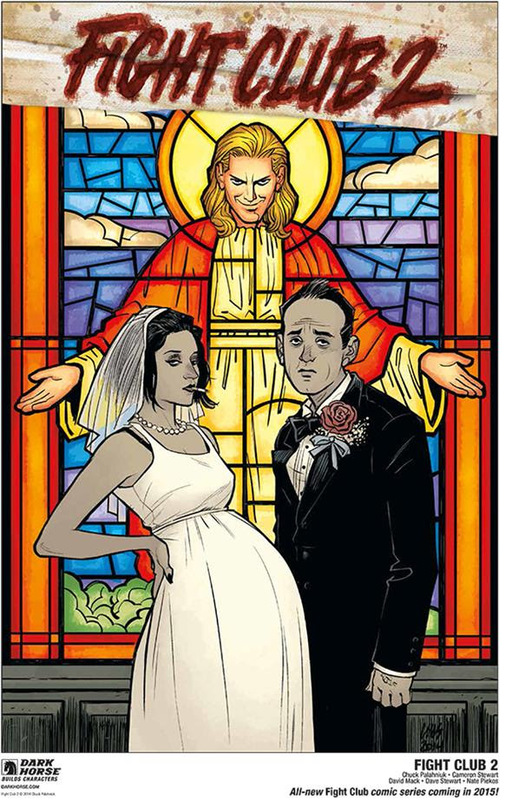 What publisher or studio in its right mind would say no to Fight Club 2? Though the novel wasn’t immediately recognized critically, Chuck Palahniuk’s debut catapulted the writer among the biggest names in modern transgressive fiction. David Fincher’s film adaptation had a similar fate, turning a $40 million profit at the box office. But in both instances, Fight Club gained steam as a cult classic and found a place on the shelves of hundreds of thousands of white collar workers eager to spit blood in the face of their day jobs. And who wouldn’t want a piece of the second installment. A book, movie…TV series? No, wait. Palahniuk picked comics.